Snider Connection – Summer 2017 | Snider, Inc.
We are proud to have represented Florestone for 25 years. 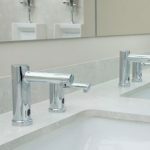 This family owned business offers a wide range of products including special needs tub and shower units, ADA units, terrazzo mop receptors along with terrazzo shower floors, molded laundry sinks, molded mop receptors, molded shower bases including right or left-hand drain, fiberglass shower bases. Please ask your salesperson or contact our Product Manager, Alan Garner, for more information. Florestone is stocked in our warehouse. We are very pleased to represent Moen Commercial products for North & South Carolina. Please contact your salesperson or our Product Manager, Lee Ayers, at 704-588-0915 for more information or a quote. 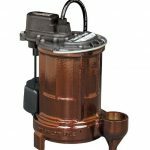 Liberty’s “workhorse” sump pump features a unique one-piece cast iron body, quick-disconnect power cord and three different switch options – including our Vertical Magnetic Float design (VMF) for smaller pits (model 257). To subscribe to the Snider, Inc. Newsletter, please enter your email address below.